This February 2nd is the day we all expect to eat tamales as we celebrate La Candelaria. There is a wide variety for all pallets: red, green, chicken, pork, beef, corn, etc. This side dish made with Avocados from Mexico will enhance your tamales and stun anyone who tries them! To make Guacamolillo, you need 2 ripe Avocados from Mexico cut in half, peeled and boneless; 2 tablespoons of Tabasco sauce®; 1/2lb of peeled and washed tomatoes; 1/4 white onion; 1 peeled garlic clove; 1 cup of water; 1 teaspoon of salt; 2 tablespoons of freshly squeezed lime juice; 2 tablespoons of sour cream; 2 tablespoons of minced cilantro; 1/4 of a diced tomato. Place the tomatoes, onion, and garlic in a medium pot. Let it boil, cover, and cook for 15 minutes. Let it cool. Dump in a food processor. Add Tabasco sauce(R), salt, lime juice, pulp from avocado, and salt. Blend until you have a smooth even paste. Add cilantro, If you want a warmer dish, serve with diced tomatoes. 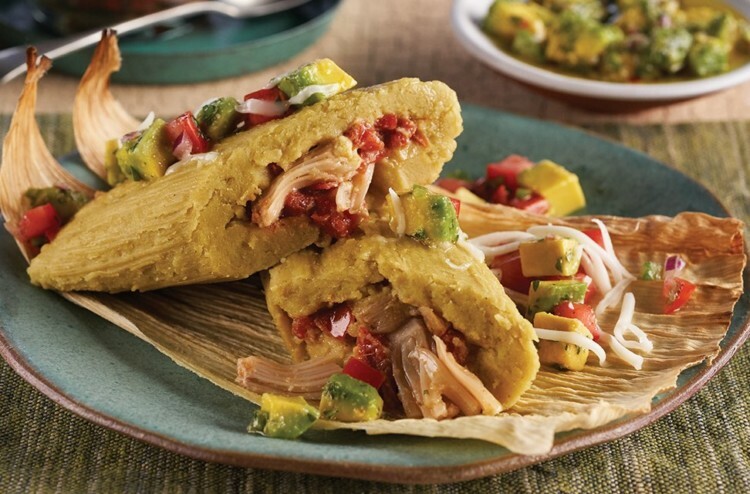 To pair these delicious tamales, you can make a refreshing horchata with Avocados from Mexico. Avocados have many health benefits, like containing fiber, which help us feel full for longer. We can assure you never imagined making horchata with delicious avocados. The Pulp from 2 ripe Avocados; 3 cups of enriched rice milk; 4 tablespoons of caramel powder; 1 tablespoon of honey; 2 teaspoons of lime juice; 2 teaspoons of cinnamon powder; 1/2 teaspoon of almond extract and 3 cinnamon sticks for decoration. Mix all the ingredients (except the cinnamon sticks) in a blender until you have an even mix. Add more honey or cinnamon if desired. Serve the horchata in a cup with plenty ice and a cinnamon stick for decoration.